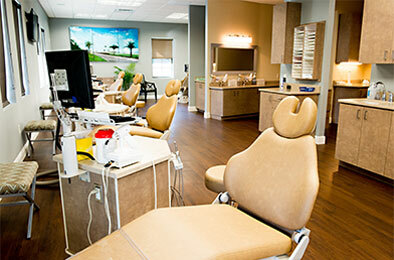 We are committed to providing an unmatched level of care in a manner that is timely and considerate. We have a long-standing reputation in our community, with over 50 years of offering excellent care with our friendly staff and doctors. Our doctors are highly qualified with years of hands-on training and experience with the best and most proven treatment methods. You’ll feel at home in our office, and our knowledgeable staff is always available to answer any questions you may have about your treatment or progress. We understand what it’s like to have a busy family schedule, and therefore make running on time a top priority. Getting a great smile that you’re proud to show off shouldn’t be a hassle! We offer a variety of treatments including traditional braces, Invisalign® invisible braces, Invisalign Teen™, Clarity Advance, and the Damon System braces. We will do our best to find you the treatment that will fit your life and you needs. We offer services for all ages! Contact our Valrico, South Tampa and Riverview office to schedule a complimentary consultation for you or your child. It is never too late to get a great smile, and we can not wait to help you get started. Call us today! Providing quality orthodontist services to South Tampa, Lithia, Brandon, Valrico, Fish Hawk, and Riverview Florida areas.